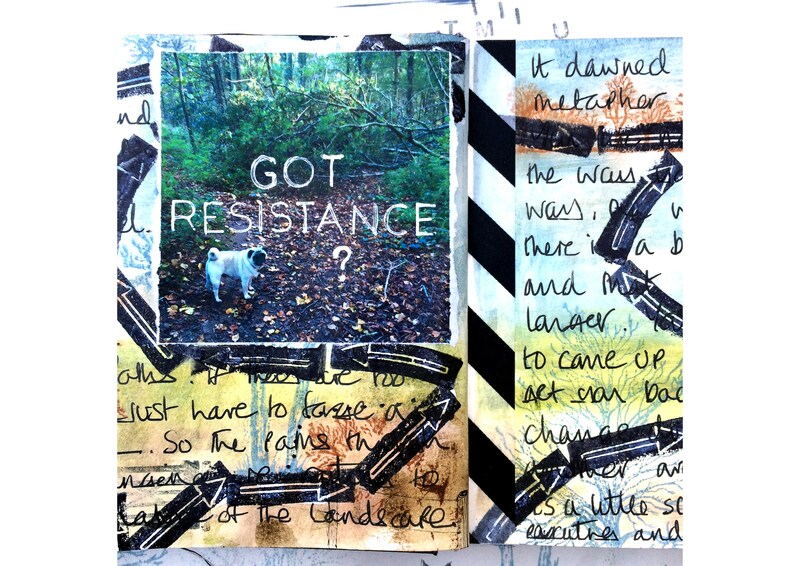 I am desperately trying to keep up with the 30 day journaling project I signed up for with Lisa Sonora as a great way to kick start the creative year. 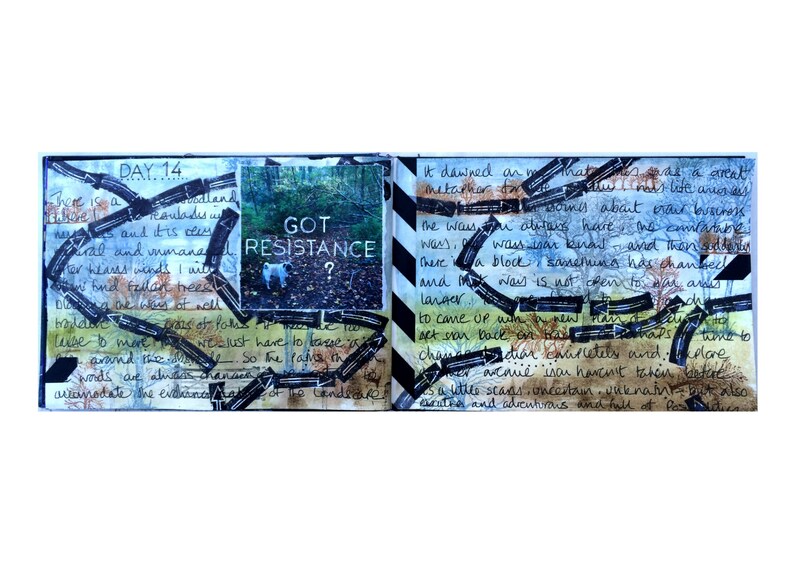 The prompt I was working on this morning was titled ‘Got resistance’, and was about how water always finds its way around obstacles – an unfortunate quality if your ceiling ever collapses because you hadn’t discovered that slowly leaking pipe!! Anyway it got me thinking about the small woodland not far from my home where I walk my dogs often. It’s a wonderful space where the dogs can run free and you might not meet another soul even if the car park is full. 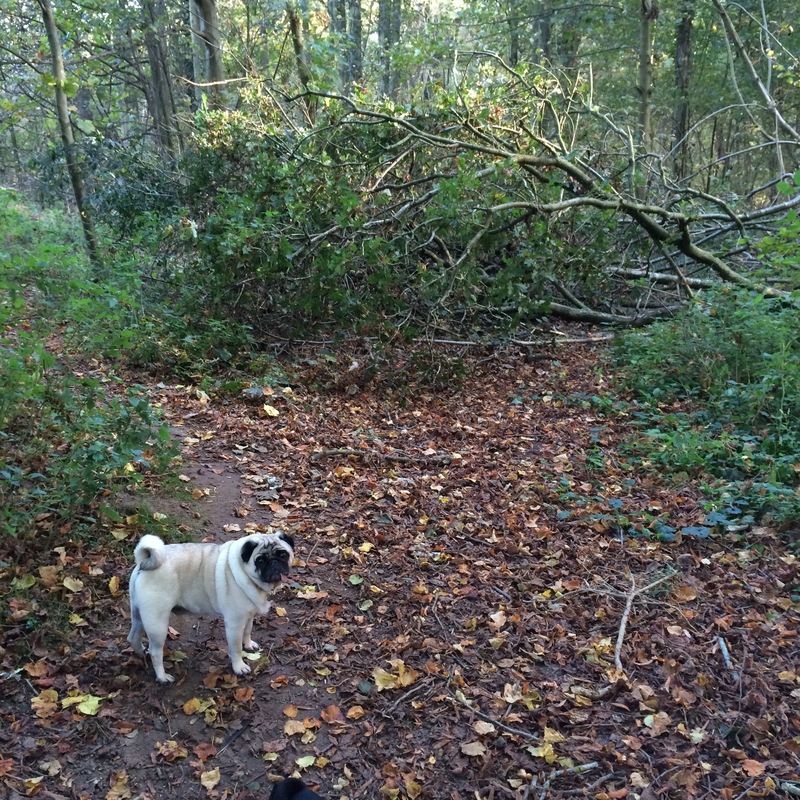 The woodland is very natural and unmanaged, so after a storm or strong winds you will often discover fallen trees blocking the way of the well worn criss cross of paths and trails. If they are too large to move you just have to go around the obstacle and start a new path. So the landscape of the woods is constantly changing whether we want it to or not and we just adapt if we want to keep going forward. So start this new year by checking your map for areas of your life that have served their purpose and are no longer helping you move forward. When you hit a stumbling block take a fresh approach and see where it leads you. And if you didn’t get it right the first time, don’t be afraid to back track and try again by a different route. There is a world of possibilities out there just waiting to be discovered.